We are excited to welcome Carre Coy as Freedom’s Promise newest team member! Carre’s heart to connect people’s passions with development opportunities, as well as her Master’s Degree of Business Administration from Lipscomb University and extensive experience working with non-profit organizations, drew us to bring her aboard as our Partner Relations Coordinator. God has led Carre to the far ends of the earth and the close neighborhoods of Nashville, each time leading her to pursue opportunities to serve. 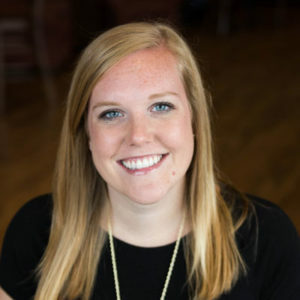 This continuous thread is woven throughout her time studying English at Covenant College, a summer spent serving in Scotland, youth ministry in Nashville, mission trips in Honduras and Rwanda, and working locally with refugee organizations. She most recently served as Director of Development and Communications for Nashville International Center for Empowerment and on the Next Generation Board at Siloam Health. Carre will primarily focus on donor relationship development, fundraising events, and grant writing and can be reached at the Freedom’s Office offices. She looks forward to connecting with people who are passionate – or even just curious – about the potential of partnering with Freedom’s Promise.